There are three big reasons I go to the Winter Family Weekend: the seminars, the fellowship, and the Fun Fair. 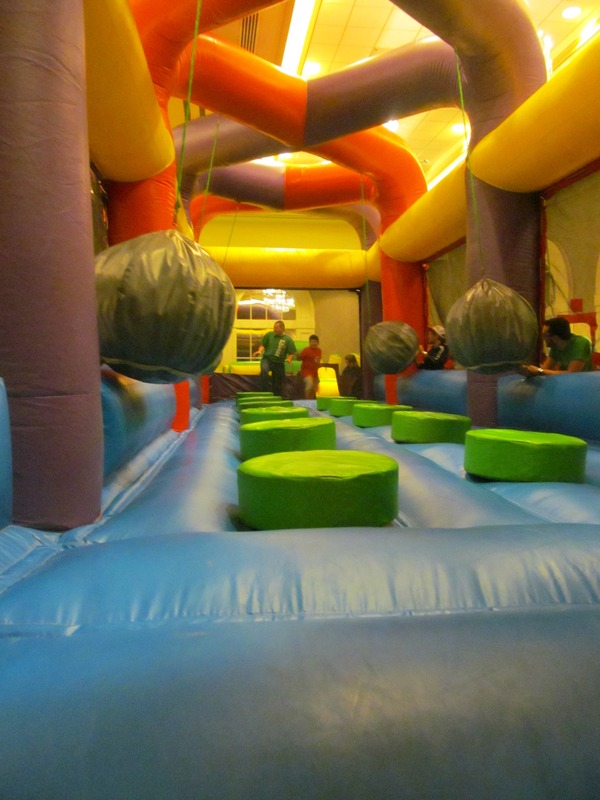 I go for the seminars because they provide a spiritual boost during the gloomy winter season, the fellowship because few things are as uplifting as iron sharpening iron, and the Fun Fair because in my heart of hearts I am still a twelve-year-old kid who loves barreling through an inflatable obstacle course with his buddies. It’s kind of a tradition I never really grew out of…and I think my wife is slowly giving up hope that I ever will. I walked through the double doors this year and immediately began scoping out the attractions, trying to assess which one would be the ultimate test of skill. There was a pirate ship, a tricycle racetrack, some sort of Lilo & Stitch slide…hmm. Maybe the wrecking ball arena? No—there it was, up against the far wall. That was the one: a gauntlet of endurance staffed by eager volunteers armed with giant foam boulders suspended like so many pendulums on strings. 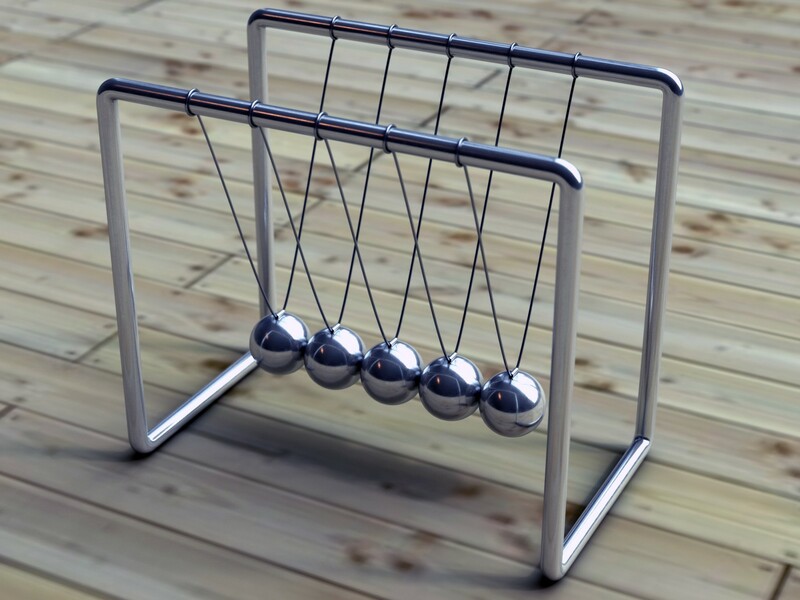 The goal was to get from one side to the other, and along the way you’d play the role of the ball in the middle of a life-size Newton cradle. Some friends and I armed ourselves with stopwatches and got in line. This wasn’t just going to be about making it through the course—we were grown men, and this children’s ride had officially become a competition. This was going to be about making it through the fastest. 1. There are a lot of different ways to tackle the same problem. The only thing that most of these run-throughs had in common was the fact that every kid started off getting blindsided by a giant rock. After that, the reactions varied wildly. Image courtesy of Rebekah Sheppard. Some kids got right back up and kept on trucking into the next boulder. And the next. And the next. Others spent some quality time lying on their backs, as if to ask, “What’s the point? I’m just going to end up back down here as soon as I stand up.” Some kids ducked into a corner where the boulders couldn’t reach them, staring at the exit and trying to concoct some clever plan. Others actually had a clever plan—after a few collisions, I watched a couple kids drop to the ground and do some kind of army commando crawl where the swinging rocks couldn’t touch them. It took longer to finish, but they were much less dizzy at the end. But my favorite performance came courtesy of a little girl carrying a stuffed animal. She couldn’t have been much older than five. She didn’t have speed, she didn’t have balance, and she didn’t have a plan. Every boulder in that course connected with her tiny frame (sometimes more than once) and casually knocked her a couple feet through the air. I started to worry. The poor girl was getting more airtime than a commercial jet, but with much shorter layovers. She was going to be traumatized; I just knew it. And yet…every time a flying rock knocked her to the ground, she stood right back up, still clutching her stuffed friend—and grinning like a Cheshire cat. She toddled all the way to the end with a great big smile lighting up her face, and she didn’t let the relentless pummeling of a couple oversized rocks change that. When we get hit by a trial, we can be the kid who stares up at the ceiling and wonders, “Why bother? I’m just going to get hit again,” or we can be the kid who shakes it off, gets back up, and keeps moving toward the goal…repeating the process as many times as it takes. We don’t have to be the fastest or the smartest; we just have to have the determination to get back up every time something knocks us down. Turns out it’s really easy to critique from a distance, but really difficult to understand a trial until you’re actually in it. I had made all sorts of assumptions about the best way to deal with the obstacle course, but when the first boulder nearly knocked me off my feet, I realized that maybe this was going to be harder than it looked. It didn’t make my observations null and void, it just reminded me that there’s a difference between knowing what to do and actually doing it. Of course they should stop getting hit in the face by boulders. But I don’t think anyone actually wants boulders in the face—it’s just that sometimes they’re harder to avoid than they look. This doesn’t mean we should never give advice or suggestions—on the contrary, it just means we should be extra careful that our words of encouragement don’t translate to “Hey! Stop being so bad at this trial!” A good place to start is by assuming that the trials our brethren face are never as easy as they look—because in all probability, they aren’t. Like all competitive males, after we had each taken a turn through the course and compared times, we respected the final results and continued on our way, reflecting on the hahahahahaha no, sorry, I can’t even type that with a straight face. We immediately challenged ourselves to round two, because we each knew we could do better. And honestly, we did do better. We had experience on our side this time. We each knew what it was like to collide with the giant swinging rocks, and while we couldn’t find a good way to avoid them, we learned how to brace ourselves for the inevitable. Each thud was less likely to knock us off our balance because we were ready for it and because we’d learned to throw our own momentum toward it. We’d paid attention the first time through, and that made the second and third attempts that much easier. Trials are like that too. Although every trial is unique, there are elements of any trial that we’re likely to see crop up in our lives again…and again…and again. God gives us the incredible opportunity to learn from those elements; to better ourselves and to make future run-ins with the same obstacles less difficult. That or we can shut our eyes, plug our ears, and then wonder why the same old problems keep giving us such a hard time. This Winter Family Weekend was filled with lessons—books could probably be written on the seminars and Sabbath services alone. This was just a tiny reflection on a tiny part of the whole experience there, but it was an analogy that really stuck with me—and maybe, if I’m lucky, it just might stick with you too. Happy Sabbath, everyone. Have a wonderful day of rest. 3 Responses to "Boulderdash, or “Lessons I Learned From the Giant Foam Rocks Hurtling Toward My Face”"
Hi Jeremy, Great job, on facing trials, goes with our sermon today, There’s always more to learn, better approach, etc. Keep it up, and–stay “young at heart”! Thanks, Jeremy. Just the reminder I needed.